Origami64 › Social Forums › General Discussion › Ideas for hacking. Note: I'm not a good scripter. I'm just sharing my ideas to everyone before they disappear and I forget about them. Who knows! Lately, have we found a way to make custom zelda ds games? I saw someone with a testing hack. Anyone is interested? I doubt it will be easy because of the quest items and such. 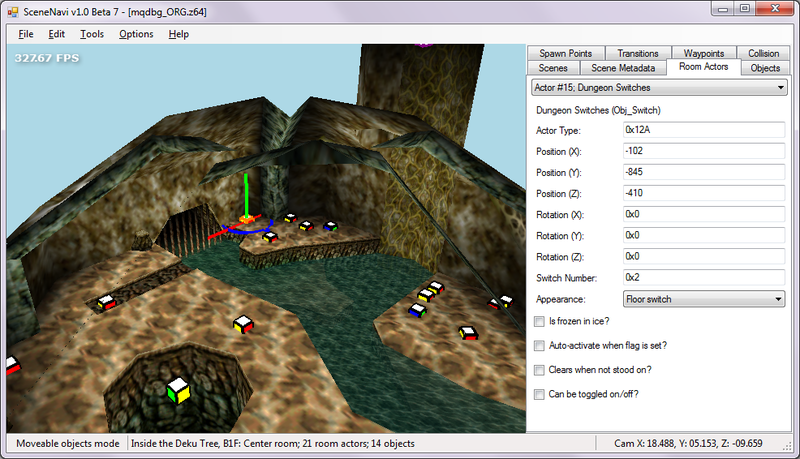 Making a tool for Zelda Ocarina of time. I've seen a few hacks but they were abandonned and most of them are good but I'm wondering if we could make a tool simillar to the one we can use for sm64 hacks. I had other ideas but I forgot them. I'm not an expert. If those ideas are impossible, I'd like to be told why. Thank you! (30-08-2016, 05:53 PM)Tipolox Wrote: Note: I'm not a good scripter. I'm just sharing my ideas to everyone before they disappear and I forget about them. Who knows! I'm quita a fan of the zelda series, specifically tp, Oot after that, i never played any ds zeldas so... yeah, oot uses microcote 3 (F3DEX2(Just like paper mario!)) and how the models are stored is not well craked yet, clover has got knowledge about that but he does'nt like to give away info so.... the Fast 3d microcode I'd say is the most understood one yet, if I remember correctly oot uses m64 format? (correct me if im wrong) the textures are mostly found so thats quite a thing to look into. It looks like level editors and importers have existed for the game since before 2011. You need to stop presenting guesses as fact, you seem to do it in almost every post and it's a disservice to everyone.